Web programmers around the world have the mandate of not only providing error-free software but also address usability issues much before in the software development cycle. In fact, they are so common that these can be very often resolved in the design phase itself with the help of several tools. In this blogpost, our dedicated programmers at HireIndianProgrammers having extensive knowledge of multiple software platforms, will delve into the different front-end tools to reduce usability concerns – providing for a breezy experience. With Mason, programmers spread across different geographic locations can collaborate and work on a website’s front end. There are not much expenses related to the addition or modification of any feature that is usually associated in this part of the development cycle. What makes Mason a hit among programmers is the fact that it takes care of the hard coding stuff and programmers can directly focus on the larger issues of deploying robust software. By using Mason, you can seek to bring your entire product team together, push updates in seconds and includes, among other things, features like, user registration, SSO, two-factor-authentication and so on. Interfacer is a quality front end tool available for programmers to makes the best use of – especially with regard to its extensive library resources. This library is not only highly comprehensive but also a fun resource for programmers to experiment with. Now what does this library contain? It is a collection of everything ranging from fonts, icons to UI Designs and templates for websites. All of this is free for programmers to work with. Webflow is a one-stop solution for all your website development needs including but not limited to website design, CMS, hosting etc; Even if you are a beginner in programmer, fret not, for Webflow is designed for both experienced programmers and beginners alike. You can design whole layouts for every website or app from scratch with ease, therefore, Webflow is creative hotspot for programmers to unleash their full potential. UXPin is built on the premise of iterative wireframing and prototyping. A powerful cloud based prototyping tool, UXPin promises programmers to allow them to design, prototype and collaborate.Programmers can start designing from the pre-coded modules. The best thing about UXPin is the provision of sharing designs across stakeholders including clients and other programmers on the team in any form like wire frames. This means that feedback becomes central to the design process ultimately reducing costly time resource. With that we come to the end of this post and would like to reiterate to programmers and online business people the importance of UX. UX is one of those small things that impresses visitors to your site. 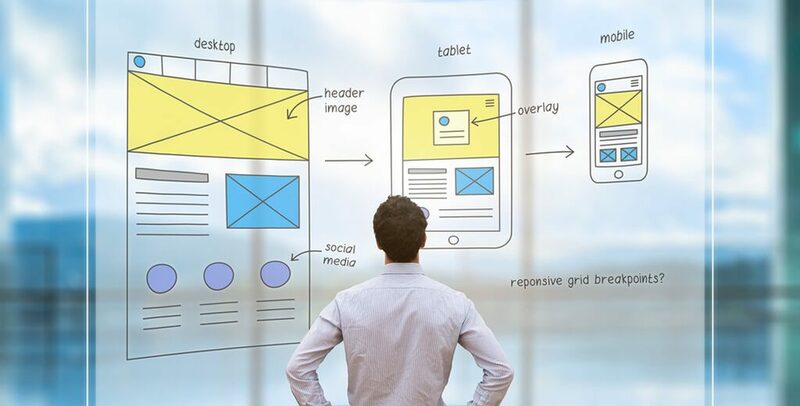 A good UX will impress visitors to the extent that they go on to bookmark your website for future browsing – thereby increasing brand loyalty and word of mouth. After all, a smooth online purchase experience is what all customers yearn for, isn’t it? Start designing your website with a renewed emphasis on UX by hiring our programmers. Get in touch with our team here.